Comedian Wanda Sykes once wrote: "If you feel like there’s something out there that you’re supposed to be doing, if you have passion for it, then stop wishing and just do it." 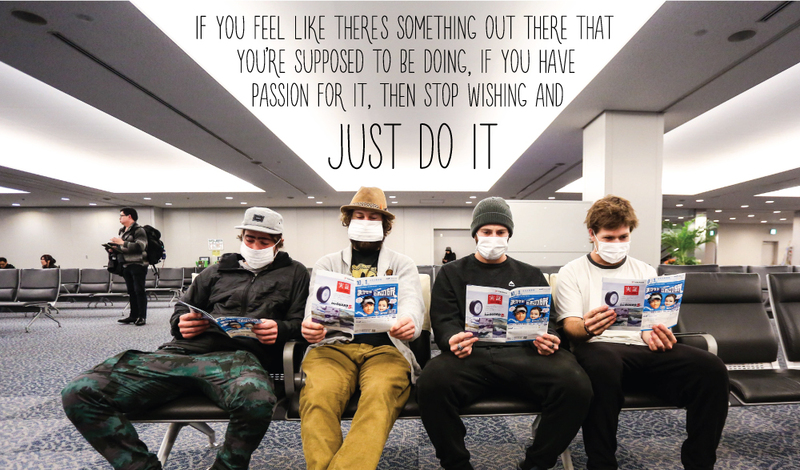 This quote pretty much sums up how I found myself in Japan a few weeks ago. I realized I hadn’t gone riding at all this season and instead of being bummed out about that fact I thought about my favorite trips and was brought back to memories of Japan. Maybe it was because of all I’d been hearing about the amazing snow there, but I floated the idea out to the universe to head over there in pursuit of amazing powder, and within minutes Jack Mitrani and Eric Jackson were on board. Within a matter of days after coming up with the idea, we were flying to Japan for what would be an epic trip in Asahi-dake in Hokkaido. A simple act of following my passion turned into a trip of a lifetime, where I made friends with locals who shared their passion for powder and boarding with him. The snow was quite possibly the most amazing powder I have ever experienced and the people were just so warm and welcoming, friendly and leading a simple life which I really appreciate. Jack and Ejacks and I had the most memorable week filled with faceshots, bonding, making new friends and just relaxing. I may not have had many days on my board this season, but this trip more than made up for it. It was the perfect example of how following your bliss, living in the flow, being mindful of your desires and responsibilities can open up doors for anyone. I feel energized by this experience and inspired to continue focusing on another of my passions, sharing the LoveYourBrain message wherever I go. To read more about Kevin's trip check out our blog! We wanted to say another thank you to all who supported us at the end of the year. Together we raised over $10,000.00 which will go to support our LoveYourBrain Yoga program. Thanks so much for your continued support and enthusiasm. Have you seen our latest additions to the LYB merchandise line up? LoveYourBrain is looking forward to participating in raising awareness during the month of March for Brain Injury Awareness Month. 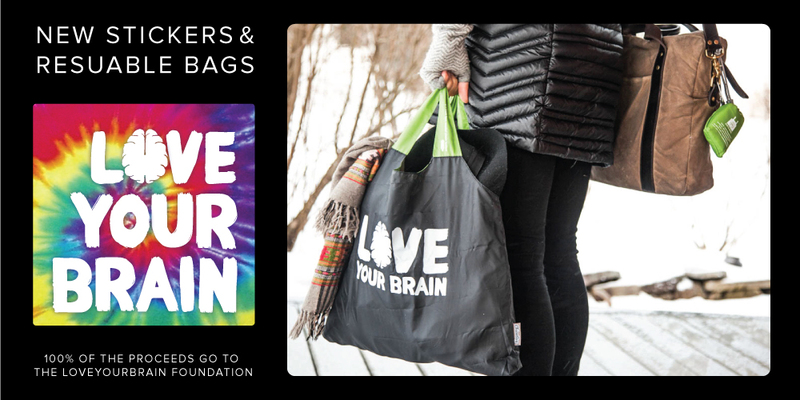 We will be collaborating with local yoga studios around the country to offer donation classes where proceeds of the classes will go to support LoveYourBrain programming. Stay tuned on social media and loveyourbrain.org for updates on how to get involved - coming soon. Copyright *2015* *LoveYourBrain LLC*, All rights reserved.